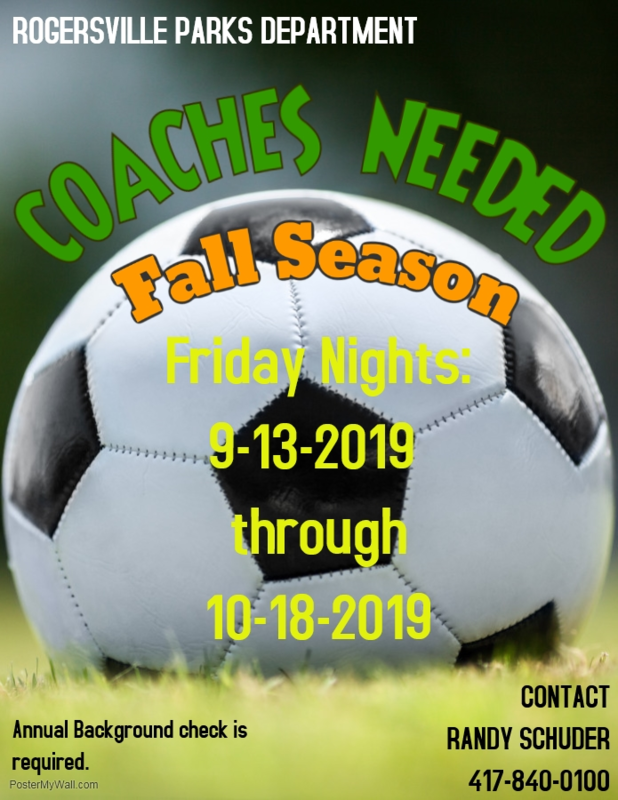 The Rogersville Parks Department is announcing the need for Soccer coaches for the Fall Season. Games are Friday nights 9-13-19 through 10-18-19. An annual background check is required. Download the application below. Call Randy Schuder at 417-840-0100 for more information.